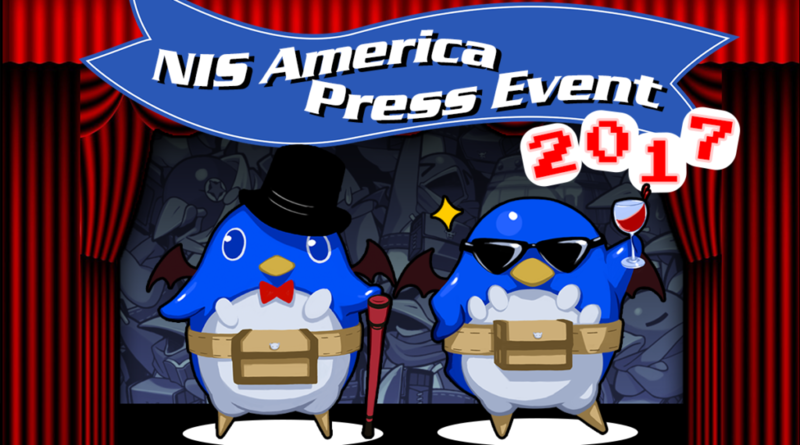 I haven’t missed the NIS America annual press event since I started going in 2010 or so, and yesterday I spent my evening mulling over video games, musing over cocktails (well, ginger beer in my case) and pizza, and listening to professional nerds tell me about their upcoming products. It’s my favorite event of the year simply because they produce the types of games I’m personally interested in most: dungeon-crawler RPGs and Disgaea. Disgaea is love. Disgaea is life. Last night, they were showing an obscene number of titles for the modestly-sized company they are – 19 in total, up from the 8 they showed in 2016 – ranging from visual novels like PSYCHO-PASS: Mandatory Happiness, to their powerhouse murder-mystery series Danganropa, to the afore-mentioned Disgaea 5 Complete for the upcoming Nintendo Switch. The biggest news was that all of the titles they named would be released at some point in the 2017 calendar year, but that only matters if the games are any good, so it’s worth taking a look over the full list.